As a business owner, we’re often faced with different duties to operate, maintain, and promote the business. In order to be efficient with the numerous tasks we’re face with, there are a large number of tools and services to help us stay organized. 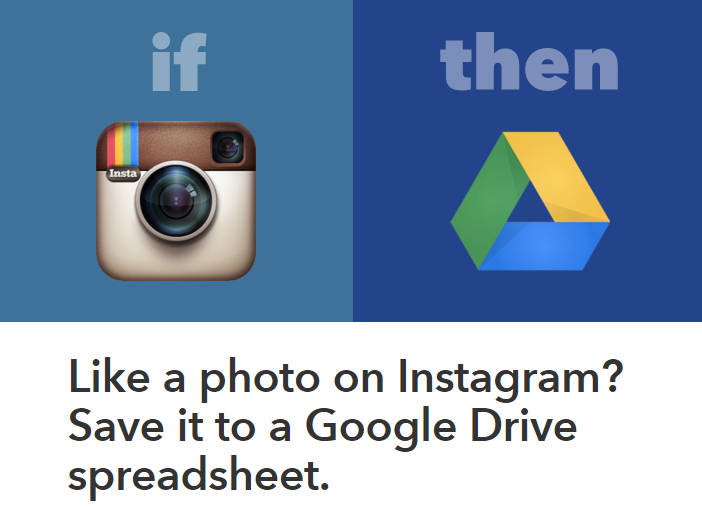 The tool IFTTT does just that, if not, more. IFTTT was launched in 2011 and has become an extremely popular for business owners, professionals, and absolutely anyone. With over 15 million recipes used each day, it allows for greaat customization to suit everyone’s need. 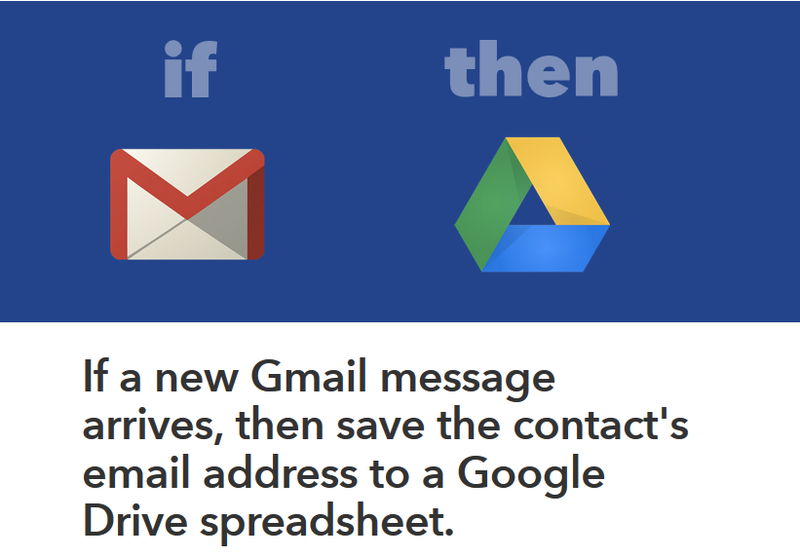 Whether you are a business owner or a young student, IFTTT has ‘recipes’ that will increase the productivity of your life. 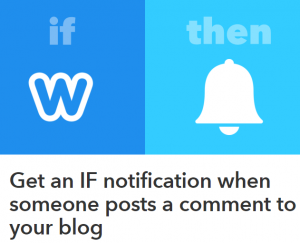 The online application IFTTT (If this, then that) allows the user to create different recipes which include a trigger point, (the “this” of the equation) and follow up with an action (the”that” of the equation). It connects through cloud based services, such as social media accounts, any application on your iPhone or android, Dropbox, Google Drive, and more. 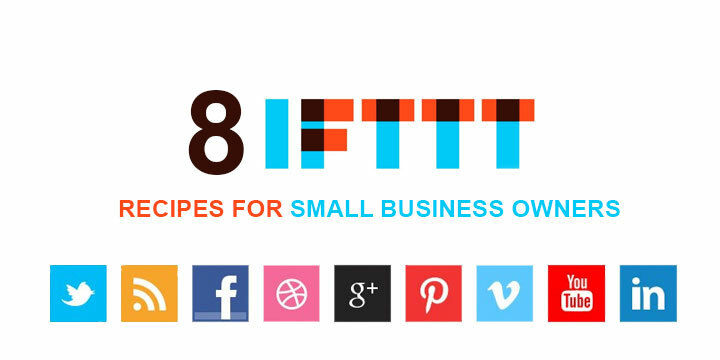 The number of different ways you can utilize IFTTT goes far beyond managing your business, it can even help with the productivity in your day-to-day lives and activities. Here, I’m going to focus on a few great recipes that will be beneficial for business owners. Sometimes, it can be hard to keep track of all the people you’re contacting. Therefore, it would be great to have all the email addresses added to your spreadsheet. This allows you to keep track of everyone that you’ve been in contact with and those who are reaching out to connect with you. It helps to keep all the contacts in an organized place for you to sort easily and customize as needed. 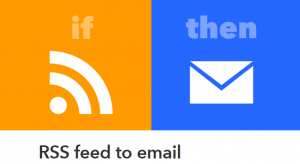 The RSS feed to email recipe is an easy way to stay up to date and on top with the latest news or article. Whenever there is an article from a specific website, you can directly get an email about it. This way, you can be the first to jump the ball on writing a new article regarding the topic, posting about it on Facebook, or sharing the news on Twitter. 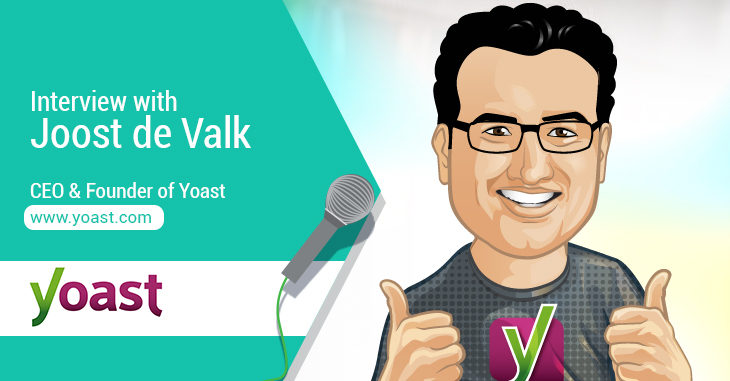 As a business owner, you’re often faced with hundreds and hundreds of emails in your inbox. 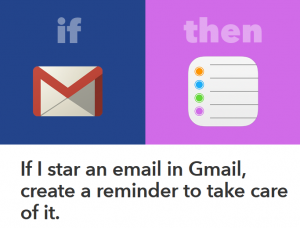 A lot of the time, you tend to miss an important email or forget to reply specific people. 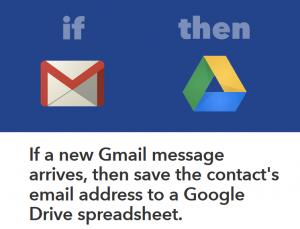 This IFTTT recipe is great for the busy business owners that may not have the time to reply their emails right as they come through. This recipe is as easy as it sounds. 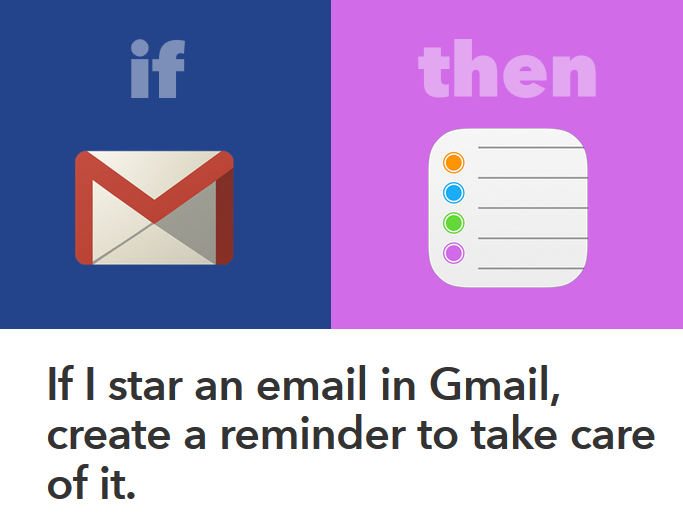 If you star an email in Gmail, you will be automatically reminded to take care of it. This is a great way to manage emails on a matter of importance. Stay reminded as to what needs to be done and keep up on crucial tasks. 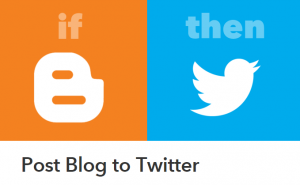 Blogs are one of the most important marketing strategies for a business. Your blog will help you rank on Google, increase social interaction with your customers, and is a key way for your consumers to access information about you or your business online. What’s great about having a blog is it’s ability to fuel your social media. Therefore, this recipe is great for saving you time because it will help you post a link to your new blog directly onto Facebook. If you’re on Facebook, you’re probably also using Twitter as well. 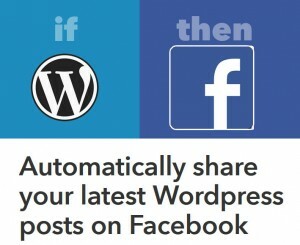 You can’t simply just post your blog on Facebook and not Twitter. 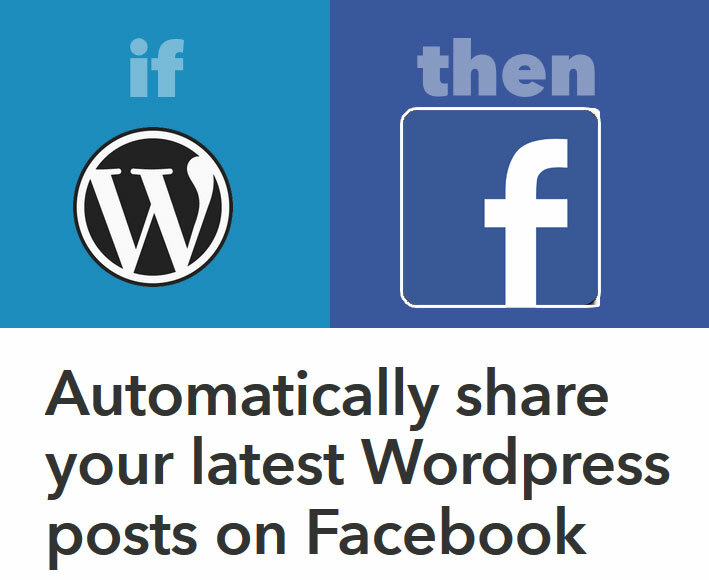 Therefore, you can set up an IFTTT recipe to easily and automatically share your latest posts with your Twitter followers as well. That’s exactly what the recipe does! 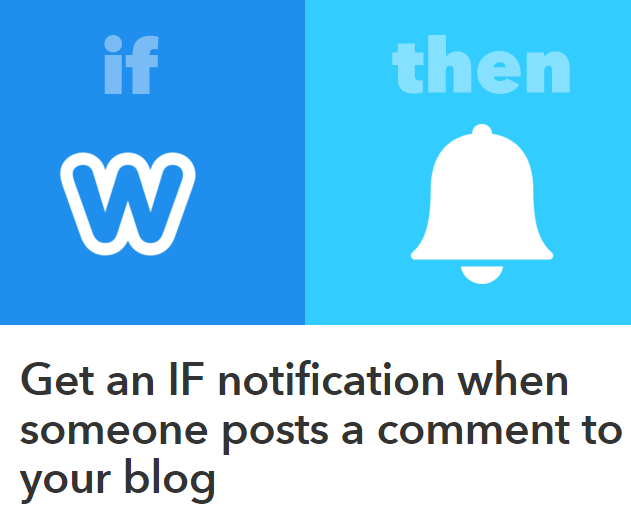 Whenever there is a new comment on your blog, it will notify you. This is a great way to continue the conversation with your readers immediately. Very often, we forget to reply our readers and by the time we respond, they might not be willing to continue the conversation. Therefore, a recipe to keep you in the know about your blog comments can increase engagement on your blog. A great social marketing strategy is to keep track of who is liking your posts. Add this recipe and you can easily sort through your biggest fans and followers of your business through a spreadsheet, and later reward those followers by sending a ‘thank you email’, a shout out, or even a gift. This way, you’re able to keep track of all the fans and able to recognize them online. It also allows you to build a more personable relationship with them, especially when you’re able to identify their loyalty to you and your business. Keeping track of customers can be time consuming and overwhelming, so optimizing through this recipe can be a life-saver. As a business owner, you may want to build your business’ followers. 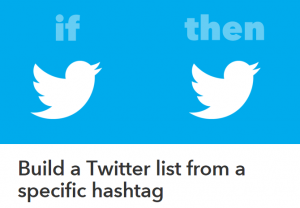 It may be difficult for you to connect with individuals on Twitter, retweet, reply to tweets, or even participate in Twitter chats. An easy way to reach out to individuals and connect with professionals alike or individuals that are interested in your product, you can user an IFTTT that creates a Twitter list whenever someone tweets with a specific hashtag. Above are just eight options for you and your business, but the options are infinite. Try to get creative and explore your possibilities! Brooke is a tech and marketing expert with a passion for writing. Stay in touch with her latest posts by giving her a follow on Twitter.